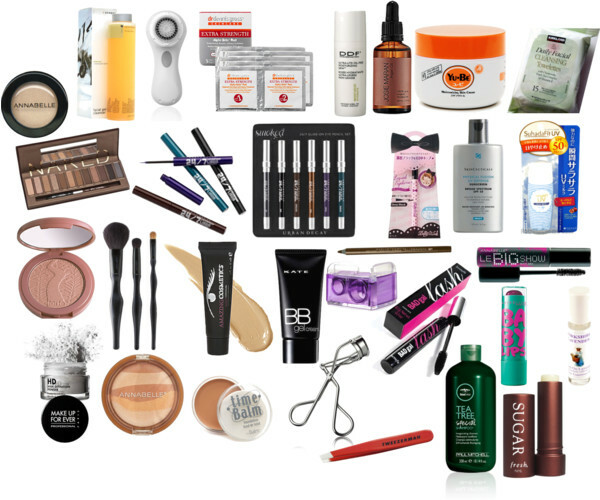 My Favourite Beauty Items of 2012 | Save. Spend. Splurge. I think it’s safe to say I don’t need to try any more products. I have everything for makeup and skin now.My skin has never been smoother, softer, and more even-toned in my life. Diet had a big thing to do with it too! I’d only like to change my makeup wipes to something more eco-friendly, Josie Maran or Korres maybe? Korres White Tea Fluid Cleansing Gel – On my 4th bottle now! Annabelle is a Canadian brand, so you won’t find it in the U.S.
Sonia Kashuk is only in Target, mostly in the U.S., but it’s coming to Canada!! Urban Decay Eyeliner Sharpener – Does the job, doesn’t complain! ← Would I ever use the American Express Platinum or Centurion (Black) cards? 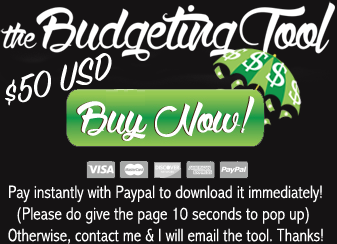 What are 5 cheap-ish things you do that significantly improve your life? Fabulously Broke in the City: Sold the Blog, now where is she? I picked up the Yu-Be cream on a whim because I read the ingredients in line, and liked that it had no silicones, colorants, or perfume. Plus glycerin was one of the #1 ingredients which my skin really responds well to. After trying it for a day, I was hooked. One small squeeze tube can last for about a month or more when I travel, to just use a bit on my body (you don’t need a lot). It also cured dry patches on my elbows, and on BF”s elbows, and I don’t get this feeling any more of wanting to rip my skin off because it’s SO ITCHY (eczema). I will note that it does leave a little bit of a residue on your skin, but you don’t feel that at all unless you start scratching really, really hard. Thanks for sharing. Kavita Arur also did one. Now I want to make one too… Although my list is gonna be pretty short. o___o; But maybe I can think of something… Hm. I like the Tarte blush you recommended btw. Although pricey! Eeek. Maybe I’ll buy one next time I’m in the states. Canada is selling them for $34! Yeah I got mine in the States for a lot cheaper, and at a lower tax rate. The Tarte blush really does stay on. I still have my Cargo blush from high school and it stays on but not as well as the Tarte. The other gel and liquid blushes are just for fun (Benetint, Tarte Pop-up Gel blush), because they don’t really last. I can’t wait until I finally find what works for me!!! It’s so frustrating (and expensive!) figuring it out! I spent a lot of money. I’m good now. Just need the staples! This. post. makes. me. drool. I agree with the argan oil for hair. I apply to damp hair after I have washed it, and it makes my hair so soft! Do you use 100% argan oil? 🙂 I find that moroccan oil stuff is full of silicones and not as moisturizing. coconut oil is good too. I do 🙂 I find coconut oil too greasy for my hair. Body shops dry oils work quite well too. Good point. Coconut oil is very greasy but research has proven it penetrates deep into the shaft of the hair..
Do you have a favorite hand cream? I can’t seem to find a good one. Yu-Be is my go-to cream for everything. It is a light glycerin cream and it stinks at first but moisturizers like crazy!!!! I liked LOccitane too but it is expensive and a bit greasy. You already have one of my favourite things up there (Sugar lip balm). My holy grail products for the last couple years include Shu Uemura cleansing oil, Kiehl’s Silk Groom hair cream and Fairydrops Scandal Queen mascara. I’m eyeing up the Naked2 pallet and Clarisonic brush as well, I just haven’t made the commitment yet. Naked 2 has a more greyish taupe tone to it which doesn’t suit my complexion. Otherwise I would have snapped it up. I’m waiting to see if they come out with a matte version of the palette. I hope you broke a knuckle 🙂 and chipped a tooth for good measure!! For my sensitive and oily skin, I use Aveeno Ultra Calming foaming facewash and sometimes Aveeno’s Ultra Calming moisturizer with sunscreen, but usually use a powder with sunscreen (all recommended by a dermatologist). For the powder with sunscreen, I’ve used Colorscience, but it’s expensive, so I tried Neutrogena which seems to work since I haven’t been getting wayward freckles or discoloration. I was looking for a good makeup remover at Sephora, and the salesgirl recommended Boscia MakeUp-Breakup Cool Cleansing Oil. I’ve only used the sample so far, but it completely removed my makeup, so I’ll be purchasing it next time. I have mild dandruff and have been happy with Trader Joe’s Tea Tree Shampoo and Conditioner. I also really like Fresh Sugar lip balm, the Rose one is really nice and leaves a subtle tint. Urban Decay 24/7 eyeliner fades on me, but Stila eyeliner stays on my eyelids all day. I will look into Boscia but I really like actual towelettes…. Just wish the Costco ones could become bamboo ones with the same cleansing power. UD lasts on me but I don’t have oily lids.